:Rafael deal sealed by SC. Supreme Court said it is satisfied with decision-making process in Rafale deal. ‘No occasion to set aside contract. Conjecture is of no use’ said CJI Ranjan Gogoi.afael deal sealed by SC. Supreme Court said it is satisfied with decision-making process in Rafale deal. ‘No occasion to set aside contract. Conjecture is of no use’ said CJI Ranjan Gogoi. Defence Minister Nirmala Sitharaman meets PM Narendra Modi after the Rafale verdict. The defence minister is yet to make a statement on the Supreme Court verdict today, but Law Minister Ravi Shankar Prasad spoke on behalf of the government, welcoming the Supreme Court’s judgement in the Rafale fighter jet deal. He urged that all campaigns against the Rafale deal must end now as the country’s strategic interest is more important. 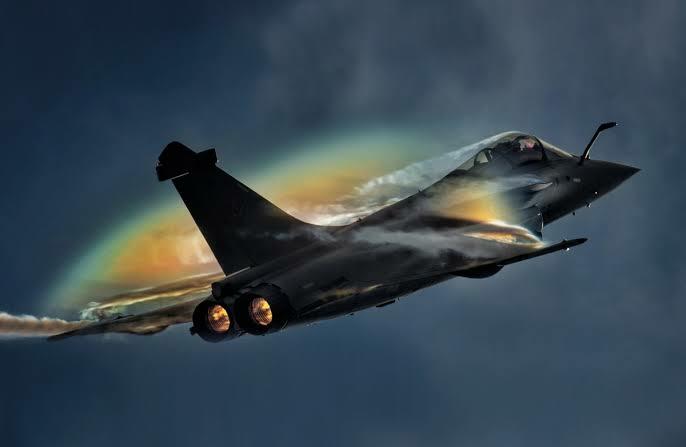 The apex court dismissed all the petitions seeking a direction to the CBI to register an FIR for alleged irregularities in the procurement of 36 Rafale fighter jets from France and said there was no occasion to doubt the decision-making process in the multi-billion dollar defence deal. “I am very happy that today the Supreme Court has given the decision, upholding the entire Rafale deal. “…I would only urge one thing, that all campaigns against Rafale must end now because the country’s strategic interest is more important,” Prasad said on the sidelines of an event organised by industry body CII. He further said that the country needed effective fighter planes to reinforce the strength of the Air Force. “This has been pending for a long time.” “The entire deal was completely fair, transparent and honest,” Prasad asserted. The Congress has been alleging that the government had put pressure on Dassault Aviation to select Anil Ambani’s Reliance Defence Ltd (RDL) as its offset partner. Politicians are tweeted the Rafale deal is public interest deal with no match for government scrutiny but needs public transparency on its pricing which has not been ably explained by the concerned ministry and charges leveled by the colleague politicians needs public clarification either through media interaction or by releases on this important security level. Here is another important suggestion which has not been agreed by ruling saffrons. Mallikarjun Kharge, Congress: Our demand was for a Joint Parliamentary Committee and it still stands. The main issue is pricing which SC said it did not want to comment as it is not in its jurisdiction. The Home Minister is speaking on an incomplete judgement given on a PIL. Attorney General K K Venugopal on Friday welcomed as “excellent” the Supreme Court verdict in the Rafale deal case, and said it has given a clean chit to the Narendra Modi government. “I think a clean chit has been given to the government on Rafale deal,” he told reporters on the sidelines of a function to give farewell to Justice Madan B Lokur, who is set to retire on December 30. “Supreme Court judgement on Rafale deal is excellent and I am extremely happy,” Venugopal said, adding, “The court has accepted all our arguments”.